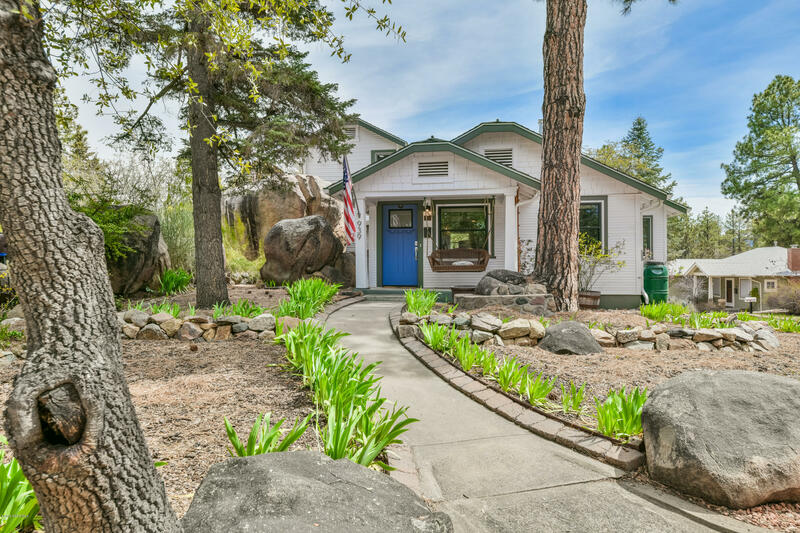 All Pine Crest homes currently listed for sale in Prescott as of 04/22/2019 are shown below. You can change the search criteria at any time by pressing the 'Change Search' button below. "One of America's Top Historic Districts, as named by 'This Old House', the Pine Crest neighborhood is Prescott at its best. Be the favorite place to visit in this charming bungalow with-in walking distance to downtown. Built in 1924 and renovated in 2018, this home retains historic vintage charm and is designed for modern living. The renovation opened the kitchen to the living room, added a laundry area, kitchen island with designer lighting, new custom cabinets, tile flooring, gorgeous tiled "